Chapter 29C of Iowa Code established a department of homeland security and emergency management and authorizes the establishment of local organizations for emergency management in the political subdivisions of the state. Our local Emergency Management Agency is a countywide, joint county-municipal agency organized to administer this chapter under the authority of a commission. This commission is a municipality as defined in Iowa Code section 670.1. 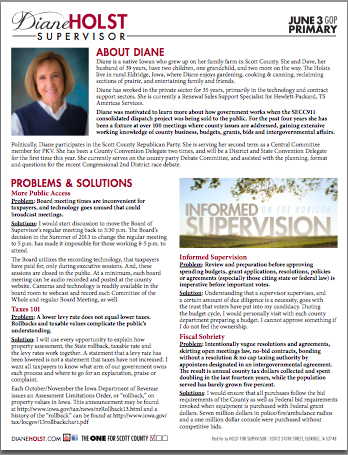 See Iowa’s Administrative Code for Homeland Security and Emergency Management. The commission is compromised of the following members: A member of the county board of supervisors, the county sheriff, and the mayor from each city within the county. It is a mandatory requirement for the commission to appoint a local emergency management coordinator and develop bylaws 7.3(2). The manner of appointing, hiring, disciplining and terminating employees is to be included in the bylaws. 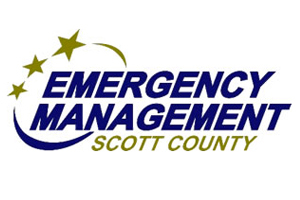 Scott County’s Emergency Management Coordinator will be retiring after 22 years of service. The general public may not know the role Ross Bergen has played, but those in the public sector will feel the loss. The commission will be faced with filling this position. This vacancy was discussed with me, as a County Supervisor. The hiring procedure, as well as the selection, is the sole decision of the commission. I feel, as with all public sector positions, that recruitment and selection should be conducted in an affirmative manner to ensure open competition through the application process, and I expressed that sentiment when told of the coordinator vacancy. I promised those that placed me in office that I would bring transparency. This goes beyond the items on the Supervisor’s agenda.